The weir valve has become a standard in hygienic valves because it can be drained and has fewer product entrapment areas than other valve types. Hygienic valve manufacturers have developed valves with minimal product contact surfaces, reduced hold-up volume and minimized areas of pipe where a substance may stagnate. All of these efforts by hygienic valve manufacturers are intended to increase the purity and sterility of the final product. Like other types of valves, hygienic valves may be produced in many configurations and from a variety of materials that include metals and plastics. 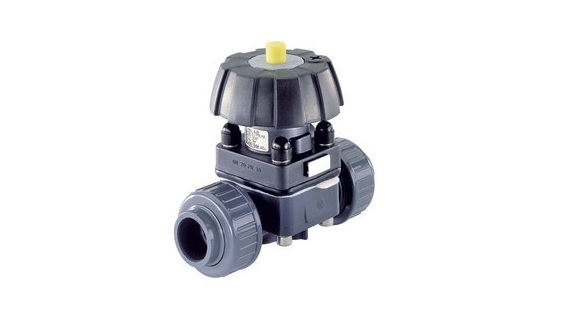 More specifically, stainless steel, PVC, CPVC, cast iron and brass are all common elements used to make diaphragm valves. Whether there is a bend in the piping or not, hygenic valves, like all other diaphragm valves are shaped like a cylinder, with two openings, and has the common elements of the stretchy diaphragm, the actuation device and a stem, which is what pressures the diaphragm into effectively blocking materials from passing through the valve. Hygienic Valves Hygienic valves are specially designed to be used in sanitary and aseptic (sterile) applications. Industries using hygienic valves include dairy, brewing, beverage, pharmaceutical and bio-chemical industries. The FDA expects that processing equipment including valves be drainable, cleanable and able to be sterilized to minimize the potential for contamination.